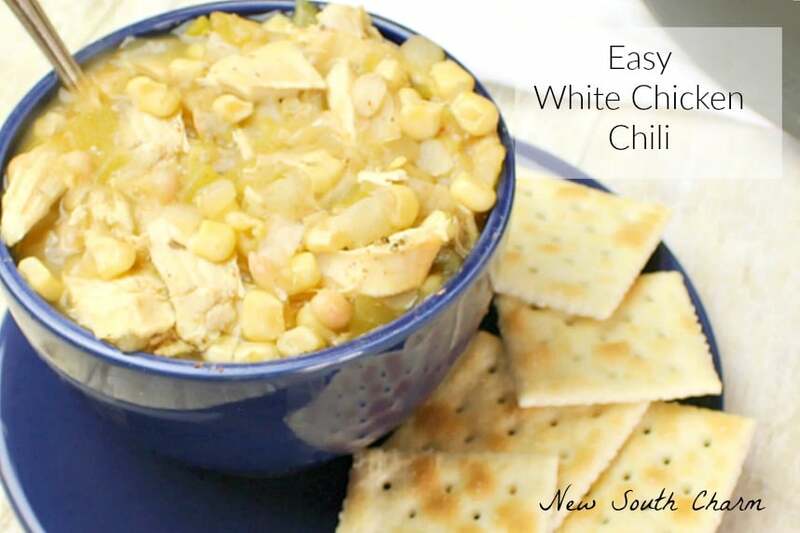 Easy White Chicken Chili is a quick flavorful recipe that you can make in about 30 minutes with simple ingredients. Y’all I’m so excited to about the cooler weather. It was so hot here this summer there were days, I swear, I thought I’d melt. 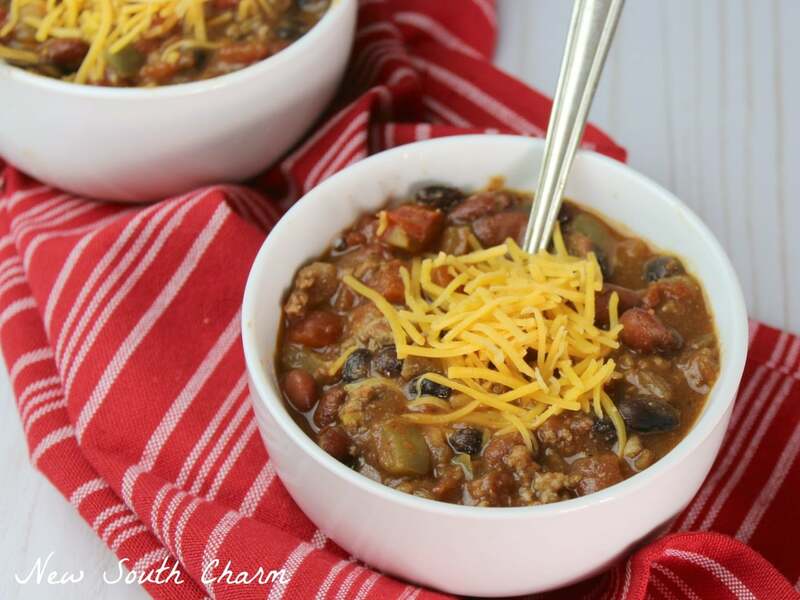 Now that it’s finally taking a turn toward Fall I’m craving chili. Besides being really delicious another great thing about this recipe is that cooks in just one pot. 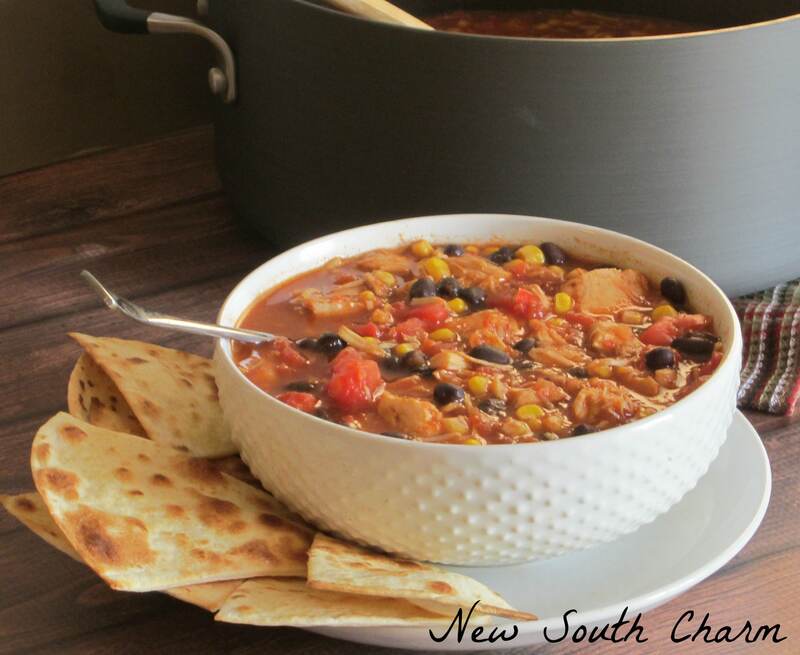 You read that right you don’t need lots of pots and pans to make this chili. You will need a 4 quart stock pot or Dutch Oven but that’s all you need. 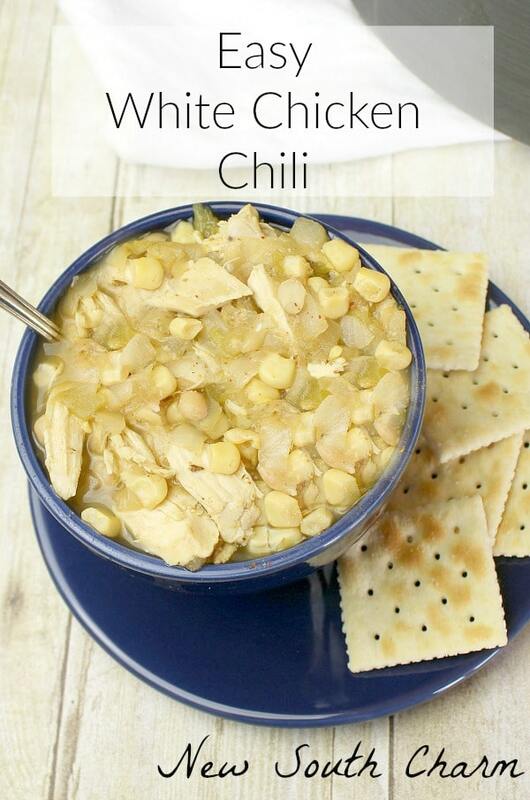 To make Easy White Chicken Chili begin by placing three or four boneless skinless chicken breasts in the bottom of your pot. Season with salt and pepper and then pour in four cups of chicken stock. Cook the chicken in stock over medium heat for 20 minutes or until chicken is tender and cooked through. Remove the breasts from the liquid and shred with two forks. Don’t try to do this by hand the chicken will be very hot. Return the shredded chicken to the pot and add in diced onion, Great Northern Beans, Sweet White Corn, and the seasonings. Stir everything together until it is well combined. Turn the burner to low and let everything to simmer together for 15 minutes while stirring occasionally. Be sure to save the leftovers. I swear this was just a good the next day and made a terrific tasting and filling lunch. Place chicken breasts in the bottom of a 4 quart stockpot or dutch oven. Season chicken with salt and pepper. Pour in 4 cups of chicken stock. Cook over medium heat for about 20 minutes or until chicken is tender and cooked through. Remove chicken from pot and shred. Return chicken to pot and add onions, beans, corn, chilis, oregano, cumin, garlic powder, chili powder salt and pepper. Stir to combine. Yum! 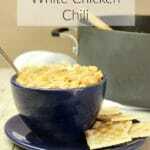 I love white chicken chili and yours looks delicious. Have a great weekend! 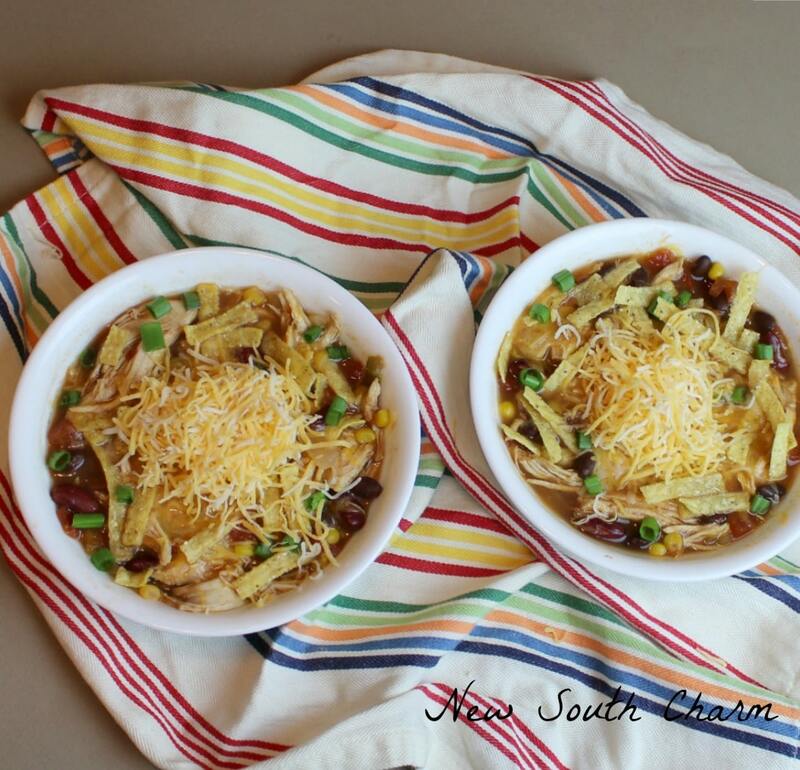 I love the seasons for your awesome White Chicken Chili! Thanks so much for sharing with us today at Full Plate Thursday and have a great weekend! Can’t wait to try this one! Looks delicious! Oh how I love quick, easy, comfort food recipes like this , Susanne! I confess, I’ve never made a white chili before, but I know my family will love it. You’ve used some wonderful spices in perfect balance! 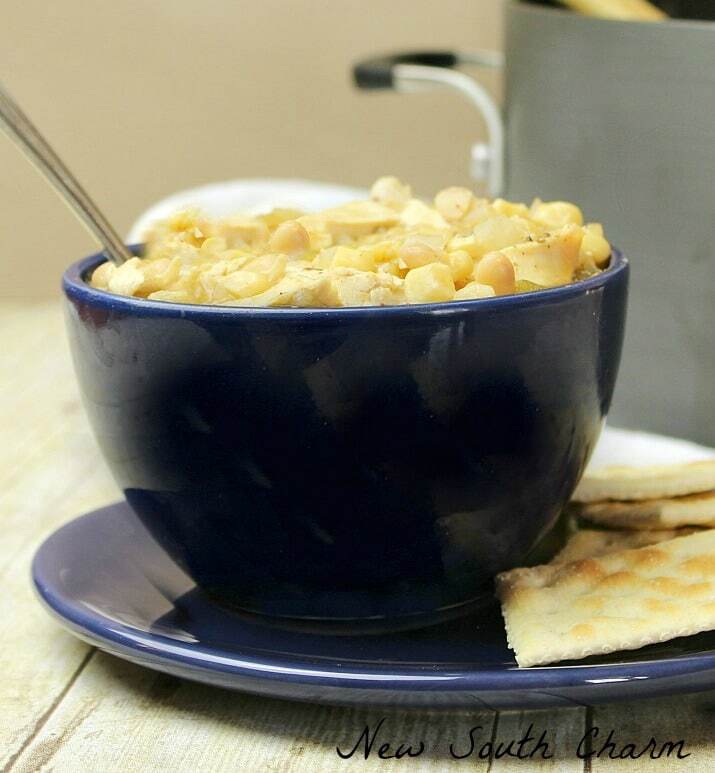 I’ve featured your recipe at this week’s Hearth and Soul Hop. Thank you for sharing it. What a great chicken soup! Love the addition of the green chiles.